What China’s growing legal expertise could mean for its foreign policy. As the South China Morning Post has learned, earlier this year the Chinese Ministry of Foreign Affairs established an international legal committee with the hope of advancing its interests through treaties and legal provisions. This team of legal experts will be tasked with helping to repatriate fugitives of the anti-corruption campaign. From a Western perspective, this development should be welcomed. It forces China to face the concerns many nations have about the human rights situation and death penalty in China if the country wants to sign more bilateral extradition treaties. Greater expertise of international legal norms is a necessary next step for the rising power. China has considerable economic might and shows this with initiatives such as the Asian Infrastructure Investment Bank as well as its increasing willingness to take up a bigger role in global governance. With all this comes the need to understand the legal framework in which the global governance game is played. One area where policy wonks will have to carefully monitor how China employs this newly gained expertise is the law of the sea. While China has both signed and ratified the UN Convention on the Law of the Sea (UNCLOS), it has recently made use of its right not to join in international arbitration efforts brought forward by the Philippines and Vietnam regarding the conflicting territorial claims in the South China Sea. 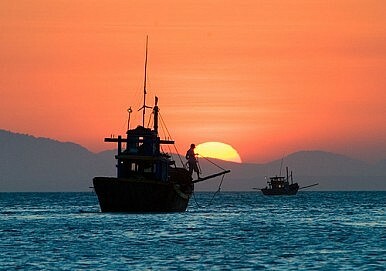 Several analysts have criticized China for not making use of the legal means and instead insisting on bilateral dispute resolution while reclaiming land and building dual-use facilities in the South China Sea. This could potentially change if China uses the new expertise to put more emphasis on legal means. At first sight, this trend could be positive from a Western conflict resolution standpoint as China might be more confident to participate in arbitration proceedings. As the President of the National Institute for South China Sea Studies and Chinese policy expert Wu Shicun highlighted: “If we can count on talented people with experience in such matters, we may be able to (satisfactorily) submit our claims to arbitration.” He further added “China wants to maintain its interest using the existing international rules” but cautioned that “if the existing rules cannot function, then China may seek to change such rules”. More arbitration proceedings could certainly help reduce tensions in a region that is continuously experiencing a downward spiral of mistrust and hard-power backed claims. But for all parties to believe in the validity of such proceedings, it is of utmost importance that they can rely on everybody honoring the principle of pacta sunt servanda. China was a member of the UN when the negotiations for UNCLOS took place, even though the country certainly was in a weaker negotiation position and had considerably less leverage. However, China immediately signed UNCLOS in 1982 and chose to ratify the treaty in 1996, unlike the United States which up until today has only signed the treaty. So while any form of criticism about the structure of debates within the UN system and the antiquated power structure would be justified, the fact is that China has already accepted the treaty and is bound to uphold the provisions it sets forth. Comments such as those of Wu Shicun that China may seek to change existing rules, however, lead to the opposite perception. This overly pragmatic approach counteracts the trust that is needed for international norms to fulfill their promise, especially as enforcement continues to be an issue. If there is no certainty about China’s intention to actually commit to finding solutions through existing legal means, the rivaling parties might understand future Chinese arbitration efforts as nothing more than a stalling tactic while continuing to reclaim land, construct dual-use facilities and thus changing the facts on the ground. A major impediment to the use of UNCLOS in resolving the territorial disputes in the South China Sea is the Chinese declaration under Art. 298, with which China among others stated that it does not accept the compulsory settlement provisions for maritime delimitation under UNCLOS. This declaration was only made in 2006, ten years after China ratified UNCLOS, and was not part of the statements made upon ratification. While this is perfectly acceptable under UNCLOS, it explains worries that China’s neighbors have with regard to China’s consistency in legal interpretations and accepted procedures, especially if China continues its overly pragmatic approach. The current debate among Chinese legal scholars about the legal status of the occupied features in the South China Sea, wherein some even claim island status for rocks and reefs, only further adds to the suspicion of what a greater focus on international law would mean. For its international legal expertise to play a positive role beyond the territorial disputes, China will have to prove that it sees international law as more than a shallow guideline or another arrow in their foreign policy quiver. Only then can international law be what it was supposed to be: a tool to reduce tensions and to find a resolution to ongoing disputes, whether they are about extraditing corrupt fugitives or airstrips in the South China Sea. Solutions such as the Code of Conduct, which has been long discussed and called for, might become a more viable option if China were to actually step up its international legal capabilities. But even beyond that, however China decides to make use of strengthened international legal understanding, it would be a useful alternative to the zero-sum mentality that is dominating Chinese foreign policy much too often. Mercator Fellow Patrick M. Renz and Frauke Heidemann are both Pacific Forum CSIS Non-Resident WSD-Handa Fellows with three years experience of living, working and studying in China. They founded the platform IR.Asia and interviewed over 30 leading experts on US-China relations. Beijing turns the tables on Manila for resuming works in the South China Sea. No China Compromise on South China Sea After Philippines Case: Top Chinese ExpertThe Challenge to China’s South China Sea ApproachPhilippines Fires Back at China’s South China Sea ChargesChina Blasts ASEAN Head for South China Sea RemarksWill China Change its South China Sea Approach in 2015?